Prevent Cancer Now » Confused? Don’t be. Organic food IS better for you. Confused? Don’t be. Organic food IS better for you. If you are confused by the recent flurry of media reports about organic foods being no better than conventional foods, you aren’t alone. A Stanford University study, misinterpreted by journalists and not that newsworthy to begin with, spawned sensational headlines in major newspapers that cast doubt on the benefits of eating organic food. The news stories would have us believe that buying organic food is a waste of money because organic food is no more nutritious than pesticide-sprayed food. The Stanford study was a literature review of more than 200 scientific articles, published over the past 50 years, that examined nutrient and contaminant levels in foods. The authors concluded that the published literature did not show organic food is more nutritious than conventional food. They also concluded that eating organic foods may reduce exposure to pesticide residues and antibiotic-resistant bacteria. Dr. Charles Benbrook is a long-time pesticide policy expert and Research Professor with the Center for Sustaining Agriculture and Natural Resources at Washington State University. Benbrook’s detailed analysis and critique, Initial Reflections on the Annals of Internal Medicine Paper, points out the shortcomings of the Stanford study and comes to different conclusions about the benefits of eating organic food. Benbrook says he is among a small group of people who have actually read over 200 of the 298 references cited in the Stanford paper, and that he’s performed his own analysis of this body of literature. He says the study is flawed in several ways, in that the indicators used to compare nutrition and safety of organic versus conventional foods consistently understates the magnitude of the differences, and that the team did not make use of high quality data on pesticide residue levels, toxicity and dietary risk available from the U.S. Department of Agriculture and the Environmental Protection Agency. He states: The team’s answer to the basic question, “Is organic food more nutritious or safer?”, is based on their judgment of whether published studies provide evidence of a clinically significant impact or improvement in health. Very few studies are designed or conducted in a way that could isolate the impact or contribution of a switch to organic food from the many other factors that influence a given individual’s health. Studies capable of doing so would be very expensive, and to date, none have been carried out in the U.S. He says the most significant, proven benefits of organic food are a reduction in chemical-driven damage during fetal and childhood development, especially from pre-natal exposure to endocrine disrupting pesticides, and that the odds of achieving “clinically significant” improvements in health are substantially increased with organic foods. Many commonly used agricultural pesticides are carcinogens and/or known endocrine disrupting chemicals. Dr. Theo Colborn, world-renowned expert on endocrine disrupting chemicals and Professor Emeritus of Zoology at the University of Florida says: Scientists exploring the role of known endocrine disruptors during embryonic and fetal development have built a strong case that certain endocrine related cancers, including breast, prostate, and testicular cancer, can be traced back to exposure in the womb. California is required by law to maintain a list of chemicals known to cause cancer. The list is long with pesticides routinely used and found on the food Canadians eat. In PEI, 80% of pesticides (by weight of active ingredient) used on potatoes are on the cancer list. Some are both carcinogens and endocrine disruptors. The Environmental Working Group includes potatoes on the Dirty Dozen list of foods most contaminated with pesticides. Apples are at the top of Dirty Dozen list, with 92% of apples containing two or more pesticides. Some of the same carcinogenic pesticides used on potatoes are also sprayed on apples to control scab. This is one of the main reasons people eat organic food — to avoid pesticide exposure. If it turns out organic food is more nutritious, then bonus. Not long after the Stanford study came out, The American Academy of Pediatrics (AAP) weighed in on organic food. Media, again, managed to muddy the waters with inaccurate reporting, focussing on the nutritional value of organic food and ignoring or downplaying the effects of pesticide exposure on human health. 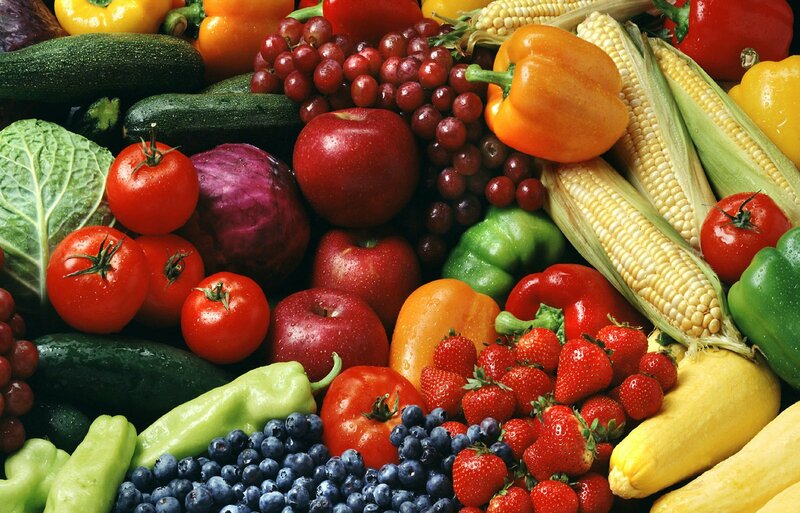 Organic foods protect children from pesticide exposure, and that’s important. Children should eat plenty of fruits and vegetables, and since some have more pesticide residues than others, parents should be selective if the cost of organic is a concern. It is still not certain whether organic food is nutritionally superior. The AAP study references other studies that found the primary route of exposure to pesticides for most children is through their food, and that when children switched to an organic diet for five days, pesticide levels in their bodies virtually disappeared. Clearly, dietary exposure to cancer-causing pesticides can be avoided by choosing organic food and that’s the take home message from both of these recent studies. Sharon Labchuk is the coordinator of Earth Action. She is the former leader of the Green Party of PEI and a past member of the PCN Board.